Palestinian teenager dies in Gaza after Israel denies him access to hospital. A 17-year-old Palestinian died last week after Israel refused to allow him to leave the besieged Gaza Strip for treatment of a congenital heart defect, the Gaza-based al-Mezan Centre for Human Rights said in a report last week. Ahmad Hassan Shubeir, from Gaza City, was denied treatment because he had “refused to serve as a collaborator for the Israeli authorities”, according to the Centre. After being repeatedly denied permission by Israel to cross, despite securing a number of appointments at Israeli hospitals as his health declined, Ahmad died at approximately 4am on January 14. Ahmad’s father told al-Mezan that his son suffered from a congenital heart defect. The father said that he had accompanied Ahmad several times to Israeli hospitals, including Tel Hashomer Hospital, Schneider Children’s Medical Centre, as well as al-Makassed Hospital in the Occupied West Bank, and that Ahmad’s condition remained relatively stable throughout the treatment. After Ahmad's condition became critical his family applied for a crossing permit in February 2016, with supporting medical documents attached. A request for a permit in September received no reply, and after the family obtained a new hospital appointment, they applied again in October, again without reply. In November, Israeli authorities replied to another permit application with a refusal. “The Israeli security services then summoned Ahmad for an interview at the crossing; during the interrogation, he was pressured to serve as a collaborator for the Israeli authorities in exchange for his permit. The child refused and was denied a permit,” al-Mezan’s report continued. Finally, the family again obtained an appointment at a hospital for 30 January 2017, as Ahmad’s health continued to decline. He died two weeks before the appointment. Al-Mezan strongly condemns Israel’s ill-treatment of Palestinian patients in Gaza, where health care services are crippled due to the Israeli blockade that will, in June, enter its tenth year. “The denial of adequate medical care . 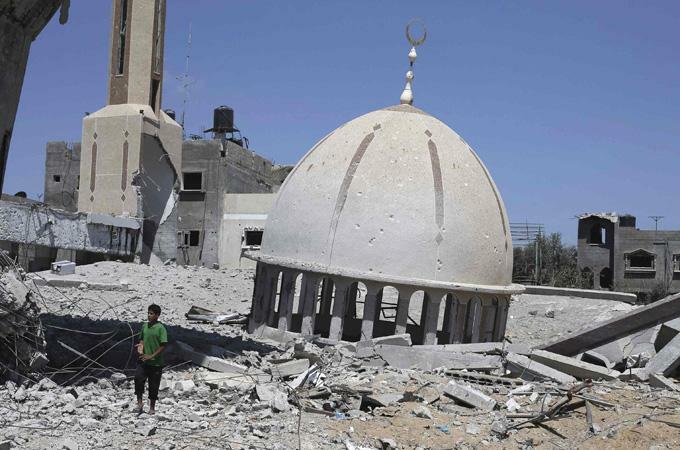 . . is in violation of treaty and customary international law, and amounts to a prohibited collective punishment,” al-Mezan stressed. My comment - David Halpin. Beyond humanity and beyond law - in every hour.